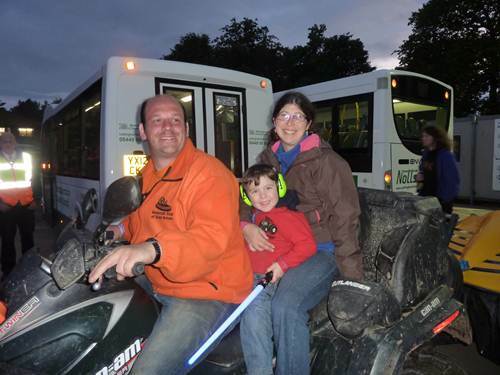 After Daddy finished his hover display at the Notts Jubilee Event Oscar caught a lift back to the camper on one of the quads that were taking the craft back to the site. (We had to escape before all those nasty fireworks!) Thanks for the ride Charlie!